But anyway you cut it, when you hear you have a a “stress fracture” in your foot, a “broken metatarsal bone” or even if your doctor just describes it as a “broken foot,” it sounds bad. And it seems like it should take a long time to heal. Just as the name implies, a bone stimulator is a medical device that is supposed to increase bone healing by somehow stimulating the bone healing process. Basically there are two different types of bone stimulators. 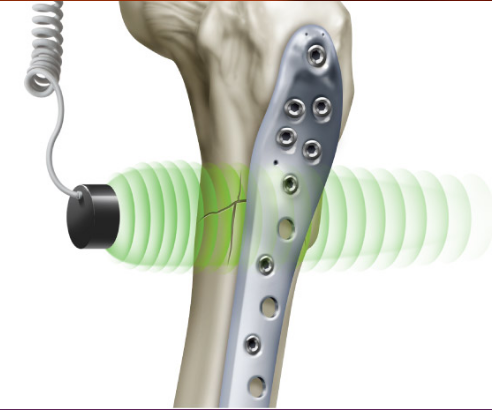 One type of bone stimulator uses ultrasound. All of the other types of bone stimulators use pulsed electromagnetic fields. The different types of devices can sometimes be better in one situation versus another depending upon what type of fracture has occurred. Sometimes it also matters whether or not you had surgery. But your doctor has to consider all that and decide which kind of device is better for you. Since we’re talking about metatarsal fractures and those types of fractures that generally happen in the foot as a consequence of overtraining, we’re going to talk more about the ultrasound version of bone stimulators. 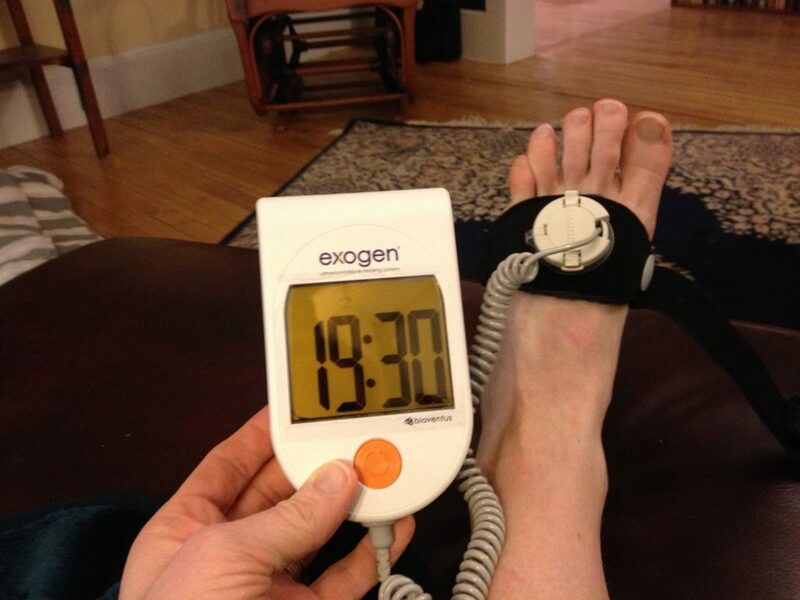 Specifically, the EXOGEN bone stimulator is the one I prescribe for runners the most. Before I continue I want you to know that every single time I lecture at any medical conference I have to disclose any kind of financial conflict of interest. Sometimes I get paid to speak at conferences. Sometimes companies will sponsor the lectures I do. But I have absolutely no conflict of interest when it comes to the EXOGEN bone stimulator. I do not own any stock in the company. I’ve never gotten a free bone stimulator from the company that makes it. And, I have actually never even met the representative who dispenses them to my patients in California. Many years ago the local representative from the company tried a number of times to meet with me and I always declined. And one point when I again turned her down for a face-to-face meeting she seemed to be a little irritated. And true to his word he’s continue to provide great service in quickly getting a bone stimulator to every healing runner who needs one. So having said all of that, you should now understand I am not promoting this device because I sell it. I don’t get paid any kind of commission. And there is no sort of affiliate program. And no joke I won’t even get a cup of coffee out of it. This isn’t about what’s in it for me it’s about what’s in it for you. Bone stimulators are something you should really think about if you have a metatarsal fracture you want to heal quickly. The reason this episode is so important to you is that not all doctors will even bring it up. There are several reasons you doc might not recommend a bone stimulator. We’ll talk about that later. Before we get into all of that let’s talk about how a bone stimulator actually works. The science behind these devices is really fascinating but in an effort to help keep you from falling asleep we’ll just keep the explanations really simple. 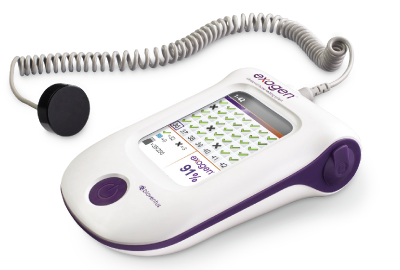 The EXOGEN uses low intensity pulsed ultrasound waves to stimulate your body’s natural bone healing process. Those ultrasound waves stimulate cells in your body to differentiate into the cells called osteoblasts which are the actual cells that begin the formation of new bone. So basically during a 20 minute treatment session with the bone stimulator you get ultrasound waves penetrating through the skin and soft tissues of the foot to the fracture site in the bone. The ultrasound activates cell receptors called integrins and consequently increases upregulation of genes and expression of proteins and growth factors critical to bone healing. Obviously, if you are a runner with a broken bone that all sounds like it might be helpful. Just to back up for a second let’s talk about the 4 phases of bone healing. Inflammation is sort of a dirty word among athletes these days but it is essential. The inflammatory phase is the very first phase of all tissue healing. Inflammation is what starts the healing process in bones, too. When you crack a bone it bleeds. You don’t really see that bleeding happen but you do see a bruise. A bruise is just evidence you’ve fractured a bone in a way that actually ripped some of the blood vessels apart. Because those blood vessel got ripped apart you got bleeding under the skin that you see as a bruise. During that initial injury to the bone, when the bone cracked, you damaged some of the blood vessels that nourish and feed the bone. You need to repair those vessels. After you crack the bone and the bone bleeds, you get a blood clot between the end of the bones where the fracture happened. That blood clot starts to solidify and turns into this sort of plastic like material we referred to as soft callus. But the soft callus is sort of like rubber cement. The soft callus hold things together but it’s not very stable structurally. To turn into something that has some structural integrity you need reinforcing strands that doctors refer to as “extracellular matrix” further stabilizing the soft callus. Once the soft callous advances and turns into a more stable structure with new blood vessels growing into it, strands of collagen helping to reinforce it, the healing fracture site has to turn into hard bone. And that’s when you get to the stage of hard callus formation. Hard calluses just what it sounds like…it’s where the soft callus turns hard. You get deposition of minerals like calcium in the soft callus. This is the phase you probably think you’re looking for when you’re looking for bone healing on an x-ray. You want some evidence that there’s bone healing across the actual fracture site. You can’t see that change on an x-ray until you make it to the hard callus stage. Once the bone has turned into a hard callus, you basically have what appears to be a strong stable bone with a lump in it. That lump is disorganize bone. The remodeling process is where osteoclast cells dig little channels through the bone and osteoblasts cells replace it with more organized parallel bars of bone that reinforce it in a way that’s more structurally stable and much, much stronger. To help you understand that I’m going to tell you a story that actually happened to me with the patient who wanted a bone stimulator and couldn’t get it from her doctor…..
One day I saw a woman who was having a lot of difficulty healing a fractured metatarsal bone. She called and asked me to look at her and provide a second opinion. She was a runner, but she wasn’t running anymore. Her foot was broken and it wasn’t getting better. She had been in fracture walking boot for a couple of months and the bone didn’t heal. So then they put her on crutches as well. Without all the details I’ll just tell you that I recommended she get a bone stimulator. The only problem was that this particular patient belonged to an HMO. An HMO is a health maintenance organization. And basically what that means is that you agree to get relatively low cost insurance, but the HMO decides what treatment you get, and sometimes what treatment you won’t get. In no way does that mean they’re trying to deny you care or access to medical treatments. But the doctor in the HMO may only prescribe certain devices or certain medications when things seem really desperate. In this case the patient hadn’t been actually diagnosed with a nonunion where a bone completely stops healing. That particular HMO will only recommend bone stimulator when a patient gets to the state of complete cessation of healing called a “nonunion” of the bone. This particular patient ended up emailing her doctor to see if he would prescribe a bone stimulator. He said he wouldn’t. She got really upset about this. I explained her that she had to follow all of the rules of the HMO and consequently those that were seemingly handcuffing her doctor. But also said. “It’s not really big deal. I can just prescribed the bone stimulator for you but you’ll have to pay for it.” And she did. And it helped. A few months later I was speaking at a medical conference when her doctor approached me. And I actually do know him. We were classmates in medical school. My sister is a runner. And I can tell you without hesitation that if my sister got a metatarsal stress fracture while training for a marathon, or an Ironman triathlon, I would get her a bone stimulator. I would call the local representative ,get a bone stimulator for my sister and I would pay for it myself. In the Metatarsal Stress Fracture Course for Runners I have a particular set of lessons which actually explains the exact placement of the bone stimulator. I show you how long you should use it during each session. And I explain to you how many sessions per day will be optimal. Of course we also talk about other strategies that have the potential to help further accelerate the healing process. The reason I’m not explaining that here is the company that makes the EXOGEN bone stimulator is a very reputable company. I am not affiliated with them. They got FDA approval of this device for very particular kinds of fractures. The simple fact is that they cannot recommend or claim the bone stimulator will help every kind of fracture, in very situation. They have to stick to FDA approval. If a doctor recommends and prescribes a bone stimulator for a particular kind of fracture that has not been given FDA clearance then we call that “off-label use.” It doesn’t mean your doctor can’t do it. It just means it’s not FDA approved for that particular indication. So in an effort to keep things simple and protect the reputation of the company making this fantastic device I’m not going to explain to you exactly how I do that treatment here. 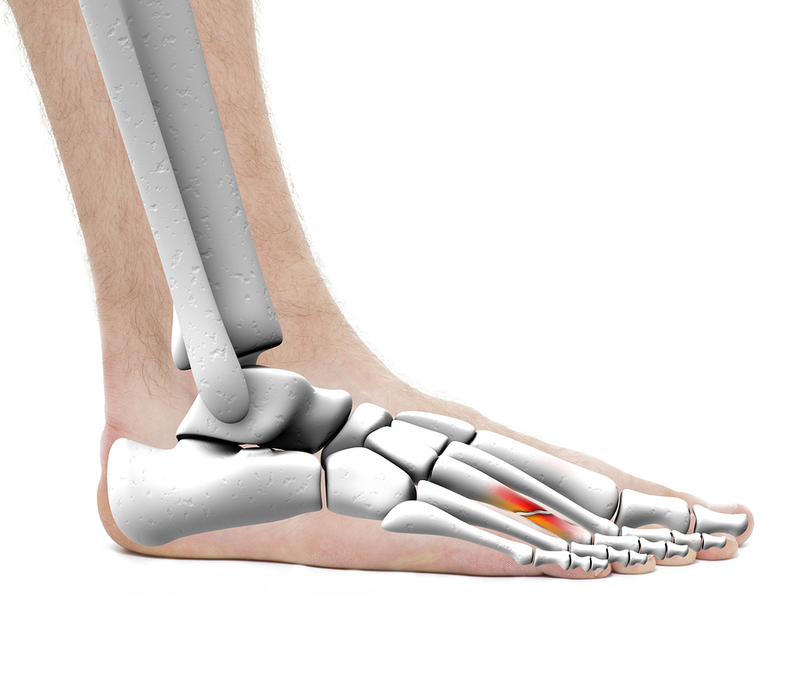 If you want to know all the details you can get it in the Metatarsal Stress Fracture Course. The bottom line here is that you have to understand there are always additional strategies, additional tools and other approaches that may help speed up the healing of your metatarsal fracture so you can get back to running sooner. Don’t ever forget that your job as a patient is to extract the expertise from your doctor. Just because your doctor didn’t tell you about a bone stimulator doesn’t mean she can’t access one for you. Just because your doctor didn’t bring it up doesn’t mean she can’t prescribe one for you. Most doctors are really busy. But they really do want you to get better. So if you can just stop them and ask about these other tools to help you heal faster you might find yourself out on the trail and running all whole lot sooner! The views and opinions expressed herein are entirely those of Dr. Christopher Segler and not necessarily those of the makers of the EXOGEN device or Bioventus LLC. Dr. Christopher Segler has no affiliation with Bioventus, LLC. 1. Azuma Y, Ito M, Harada Y, et al. Low-intensity pulsed ultrasound accelerates rat femoral fracture healing by acting on the various cellular reactions in the fracture callus. J Bone Miner Res. 2001;16(4):671–680. Martinis AJ, McMillan JA. Ultrasonic effects as demonstrated in live pigs with surgical metallic implants. Arch Phys Med Rehabil. 1959;40:483– 488. 3. Naruse K, Sekiya H, Harada Y,et al. Prolonged endochondral bone healing in senescence is shortened by low-intensity pulsed ultrasound in a manner dependent on COX-2. Ultrasound Med Biol. 2010;36(7):1098–1108. 4. Yang RS, Lin WL, Chen YZ, et al. Regulation by ultrasound treatmenton the integrin expression and differentiation of osteoblasts. Bone. 2005;36:276–283. 6. Improved healing response in delayed unions of the tibia with low- intensity pulsed ultrasound: results of a randomized sham-controlled trial. BMC Musculoskelet Disord. 2010;11:229. 7. Bachem MG, 2007. Data on le at Bioventus LLC. 8. Freeman T, Patel P, Parvizi J, et al. Micro-CT analysis with multiple thresholds allows detection of bone formation and resorption during ultrasound-treated fracture healing. J Orthop Res. 2009;27(5):673–779. 9. Ebisawa K, Hata K, Okada K, et al. Ultrasound enhances transforming growth factor ßmediated chondrocyte differentiation of human mesenchymal stem cells. Tissue Eng. 2004;10(5–6):921–929. Mukai S, Ito H, Nakagawa Y, et al. Transforming growth factor-ß mediates the effects of low- intensity pulsed ultrasound in chondrocytes. Ultrasound Med Biol. 2005;31(12):1713–1721. 10. Kokubu T, Matsui N, Fujioka H, et al. Low intensity pulsed ultrasound exposure increases prostaglandin E2 production via the induction of cyclooxygenase-2 mRNA in mouse osteoblasts. Biochem Biophys Res Comm.1999;256(2):284–287. 11. Sena K, Leven RM, Mazhar K, et al. Early gene response to low- intensity pulsed ultrasound in rat osteoblastic cells. Ultrasound Med Biol. 2005;31(5):703–708. 12. Lai C, Chen SC, Chiu LH, et al. Effects of low-intensity pulsed ultrasound, dexamethasone/ TGF-β1 and/or BMP-2 on the transcriptional expression of genes in human mesenchymal stem cells: chondrogenic vs. osteogenic differentiation. Ultrasound Med Biol. 2010;36(6):1022–1033. 13. Premarket Approval P900009/ Supplement 6, Summary of Safety and Effectiveness Data. 14. Based on mathematical simulation through soft tissue. DOS 12000.04. 15. Cook SD, Ryaby JP, McCabe J, et al. Acceleration of tibia and distal radius fracture healing in patients who smoke. Clin Orthop Relat Res. 1997;337:198–207. 16. Romano C, Messina J, Meani E. Low-intensity ultrasound for the treatment of infected nonunions. Milan: Masson Periodical Division. Guarderni di infezione osteoarticolari. 1999;83– 93. 17. Lŏtsova EI. Effect of ultrasound on the strength of metal xing pins for fractures and joint injuries. Mech Compos Mater. 1979;15(3):330. 18. Gersten JW. Effect of metallic objects on temperature rises produced in tissue by ultrasound. Am J Phys Med Rehabil. 1958;37(2):75–82. 19. Heckman JD, Ryaby JP, McCabe J, et al. Acceleration of tibial fracture-healing by non- invasive, low-intensity pulsed ultrasound. J Bone Joint Surg [Am]. 1994;76-A(1):26–34. 20. Kristiansen TK, Ryaby JP, McCabe J, et al. Accelerated healing of distal radial fractures with the use of speci c, low-intensity ultrasound. J Bone Joint Surg [Am]. 1997;79-A(7):961–973. 21. Nolte PA, van der Krans A, Patka P, et al. Low-intensity pulsed ultrasound in the treatment of nonunions.